Haircuts and Hairstyles 2017 That Will Never Go Out Of fashion.Dolling up your little princesses is a common practice. 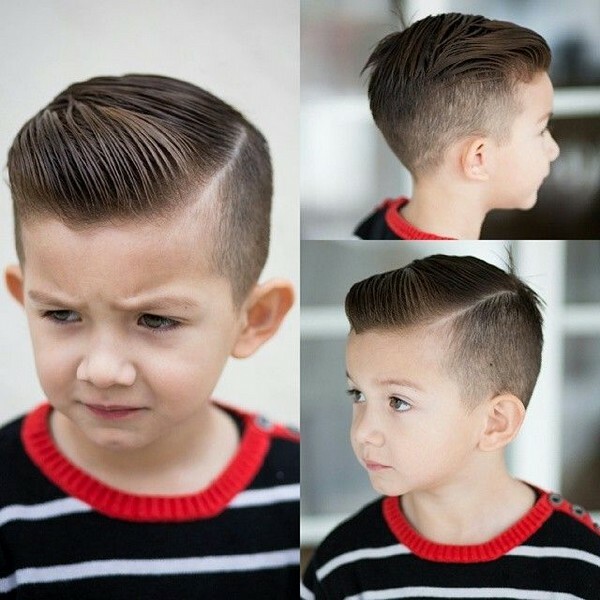 But nowadays parents are more concerned about what haircut or hairstyle will suit the little boys. In old times guys were not much concerned about their looks. 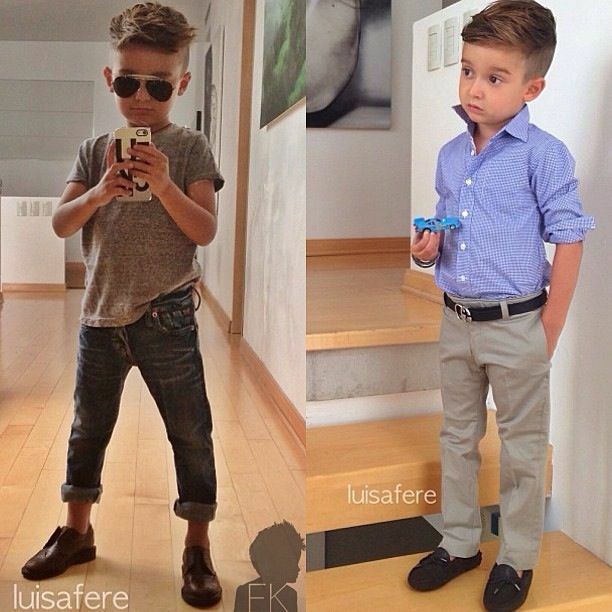 But now the men are equally more interested and concerned about their looks and style as much as are the women. Haircut is something that can give depth to your whole personality, it can make you look like a gentleman, a goth, a rebel, a mischievous little fella or a sporty person. 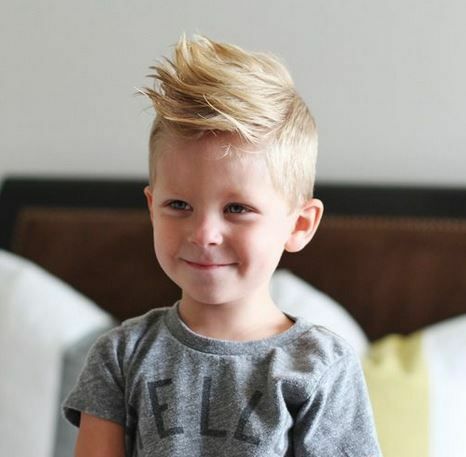 No matter what length you want for your son there are a number of cool and trendy hairstyles that will make your kid a head turner instantaneously. 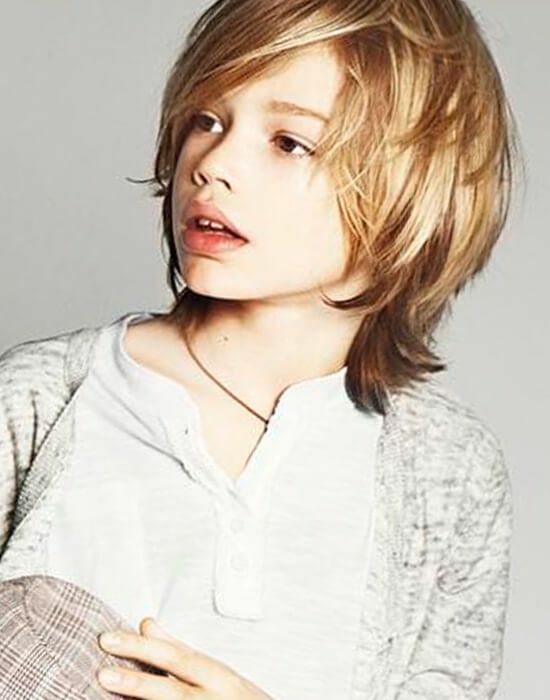 IF your son has silky hair with good volume, go with a layer cut. It will take away the heaviness from the bottom. 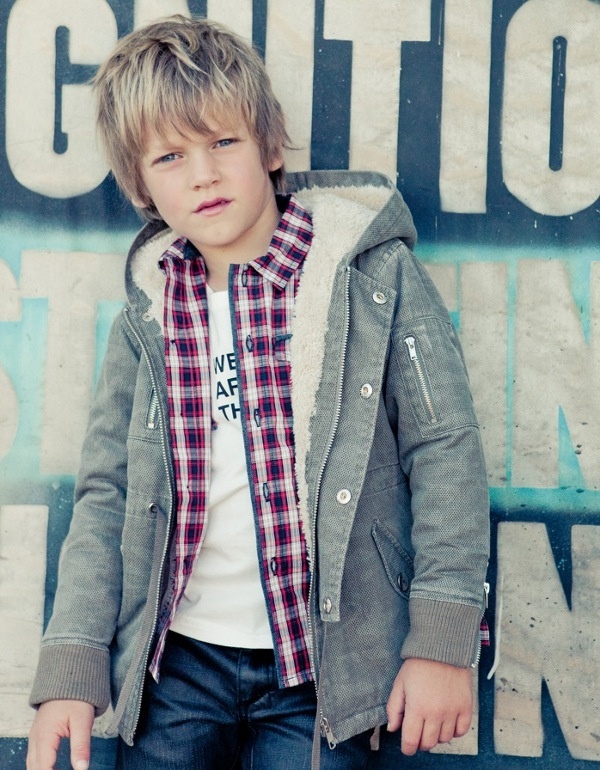 It will also allow your son to practice his creativity on his hair also it will tame down the frizz. 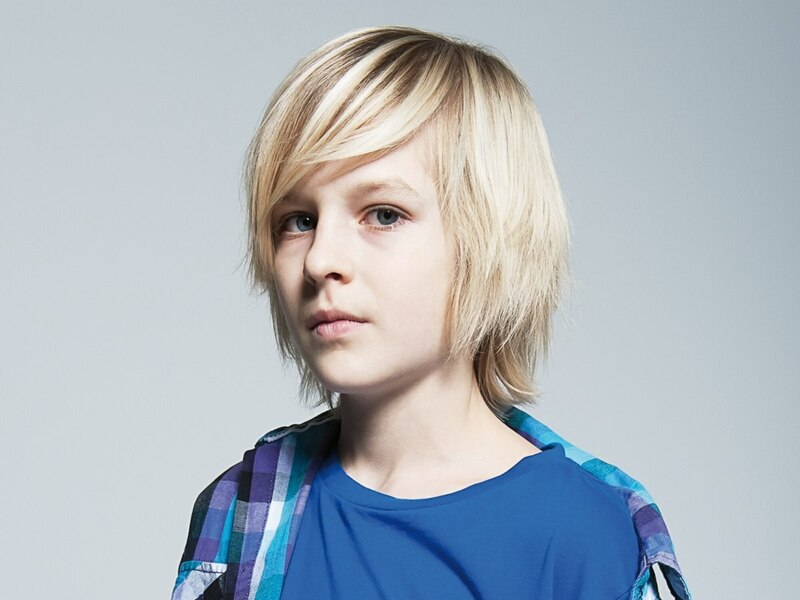 Looking for some edgy hairstyle for your son because he is a rock star from heart? Look no further. 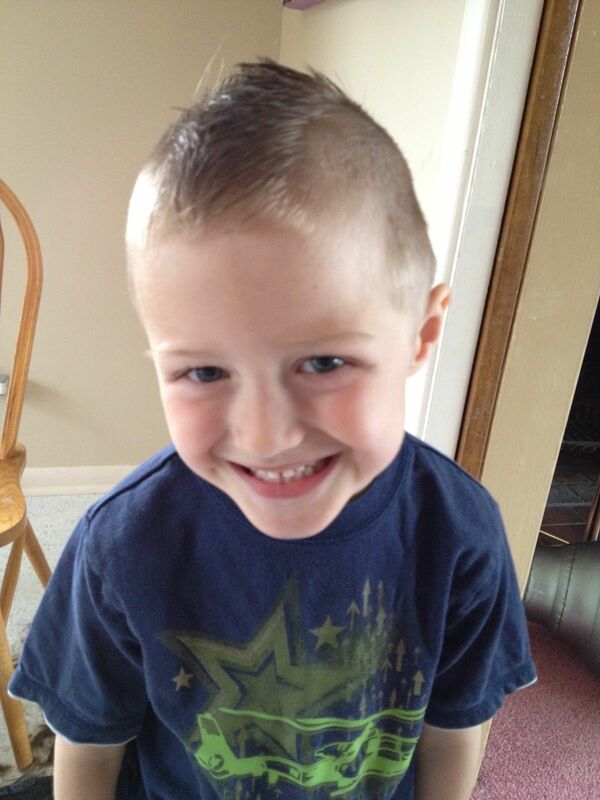 Mohawk is your best bet. This trend has been around from quite some time, it got famous in the late eighties and nineties. 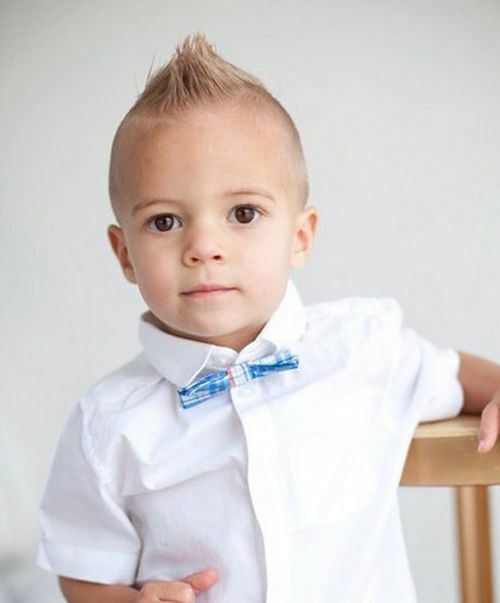 Mohawk gives off a vibe of rebelliousness on adults but looks cute and mischievous on little guys. If the weather around your place is hot and humid it’s better to go with short hairs. 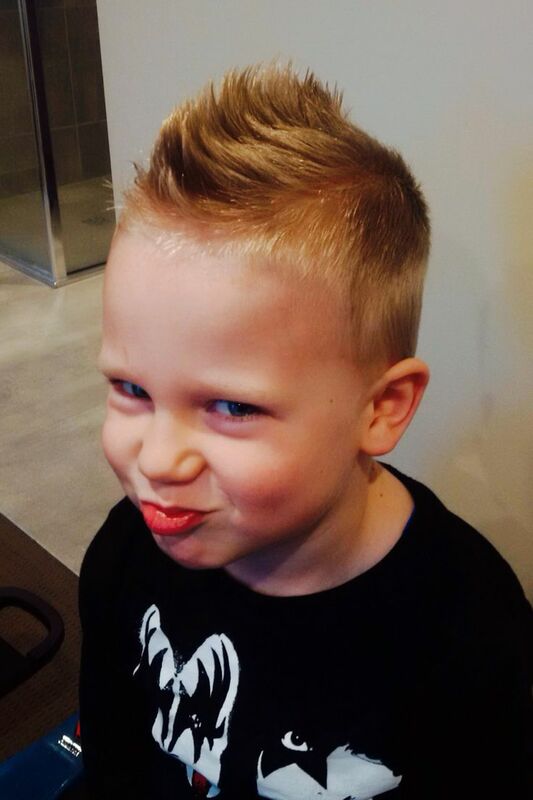 An undercut is a great option for that. 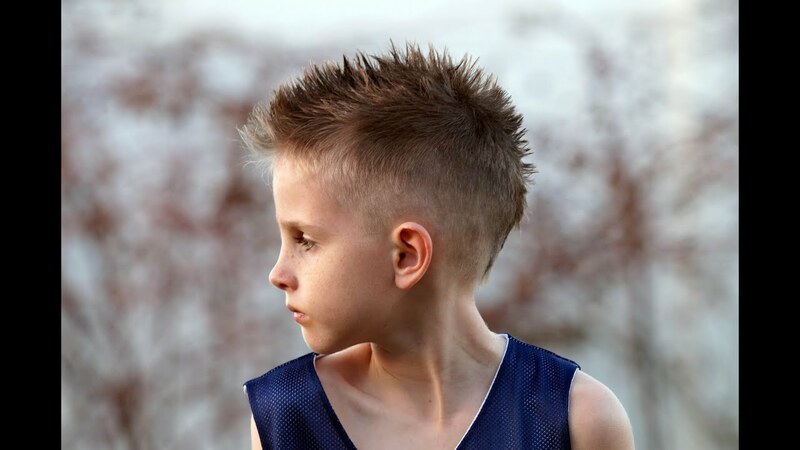 You can stylize the undercut with faux hawk or spikes to let your kid explore a style that suits his personality. 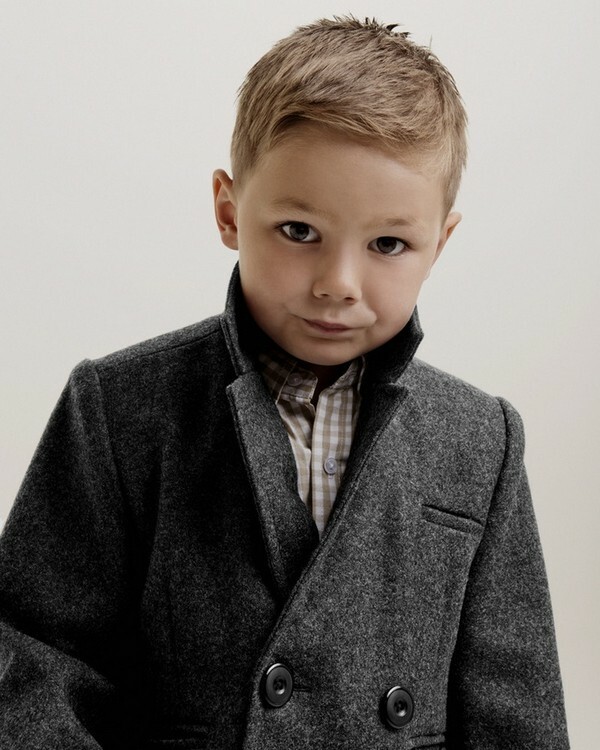 To give your little kid the appearance of a gentleman, go with slicked back hair. This hairstyle looks better on short hair as compared to long hair. 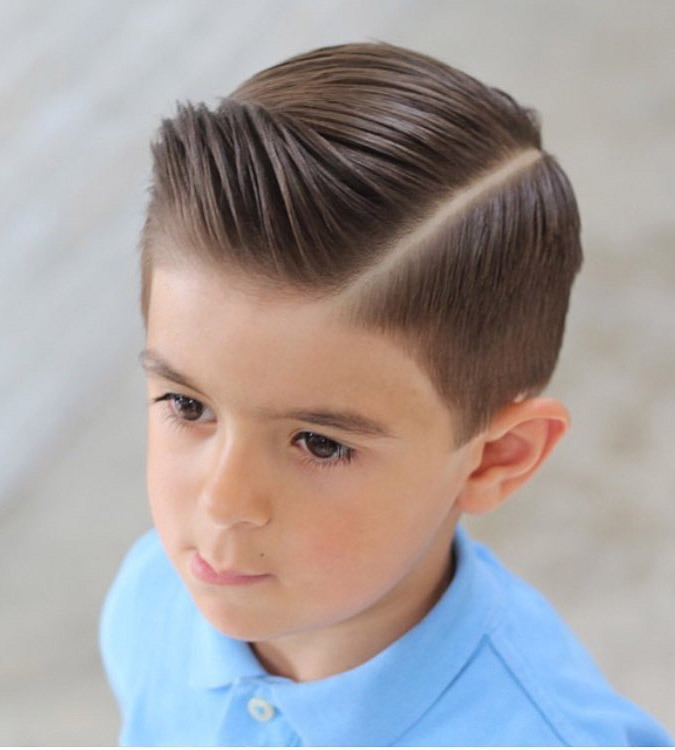 You can slick back the hair in side parted ways to give the haircut a clean crisp reflection. A hairstyle not only loved by men but women too. 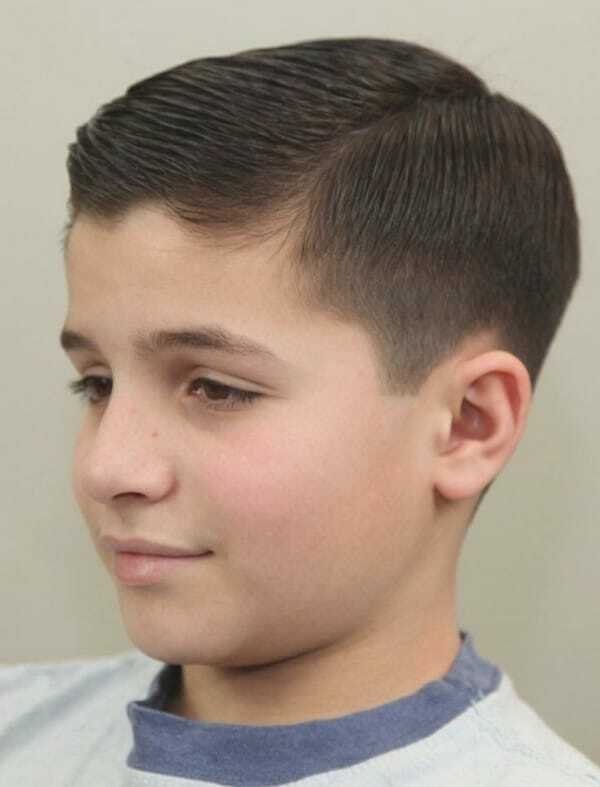 In this cut the top hairs are kept textured while the sides are trimmed to a short length. 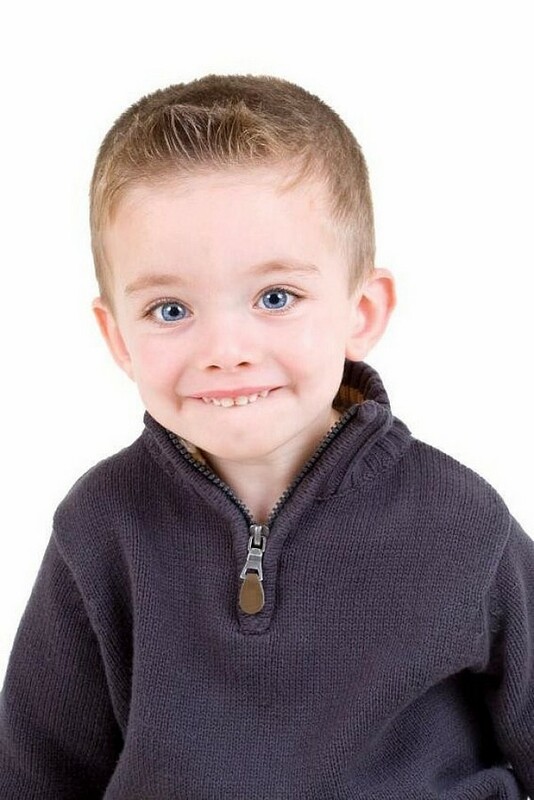 It gives a neat yet sweet look to boys. Faded haircuts are in trend these days. 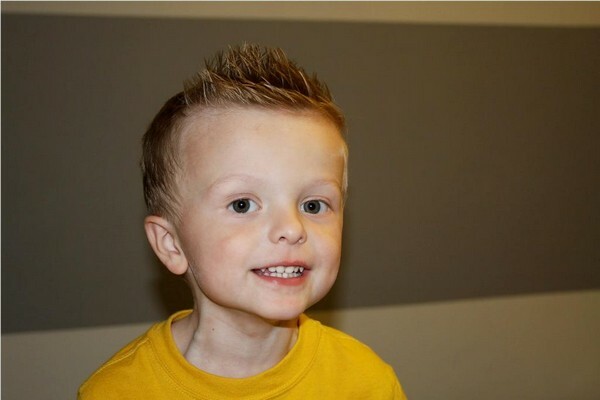 Also it is a great option if you have a fussy kid who doesn’t allow you to retouch his hair often. Faded cut looks good with curly hairs too. 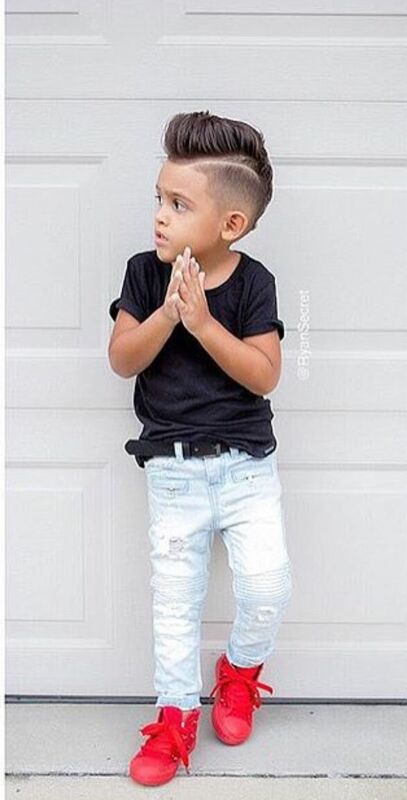 If your sun has curly hair go with faded cut on the sides and let him rock his faux hawk or side swept bangs.